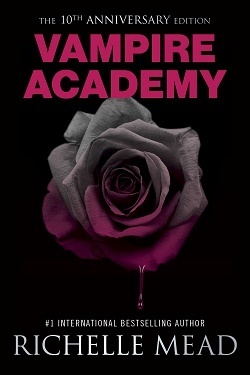 Are you guys thankful for the Vampire Academy Anniversary edition coming out on Tuesday, with all its bonus stories? Well, you should be because here's an excerpt from "Hello, My Name is Rose Hathaway," which tells the tale of an illicit scavenger hunt at St. Vladimir's. Hope you like being back in Rose's head! Click here to learn more about ordering this edition. I’d seen Dimitri’s name right away, of course. 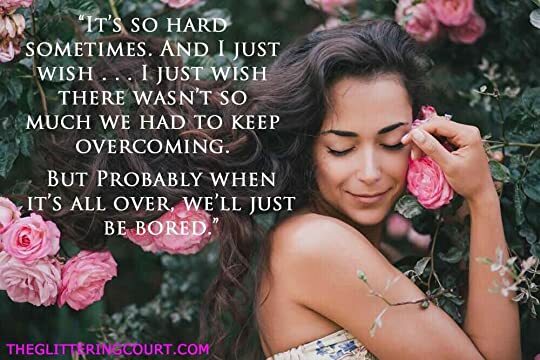 I noticed everything that had to do with the mentor I was inconveniently in love with, whether it was a wisp of brown hair escaping his ponytail or a new Western novel for him to read on his breaks. One of Guardian Belikov’s CDs, the list had read. I’d immediately dismissed it because I also didn’t want to risk getting caught by Dimitri. That item also hadn’t seemed necessary in the initial version of our plan, back when we thought we’d be able to score so much from the main building. “He doesn’t keep them in his room,” I said, earning astonishment from my companions. “How do you know that?” asked Eddie. Because I’ve been in his room. Naked. Making out with him in his bed. “Which we have a key to,” I added. We stood there staring at one another. Cheers from the carnival made me think someone must have successfully dunked a teacher. 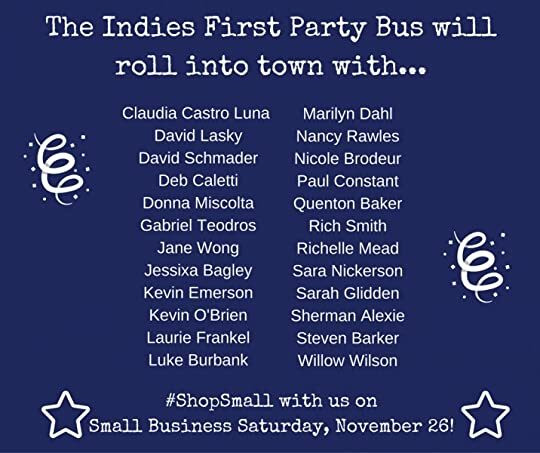 Seattle, celebrate Indies First this Saturday! Who'd like another peek at one of the bonus stories from the VA Anniversary edition that's coming out on November 29? Here are a few random entries I pulled out of "From the Journal of Vasilisa Dragomir." If you are one of the few people who haven't read Vampire Academy, I'm warning you now there are SPOILER references to book #1. It’s starting to happen more often. 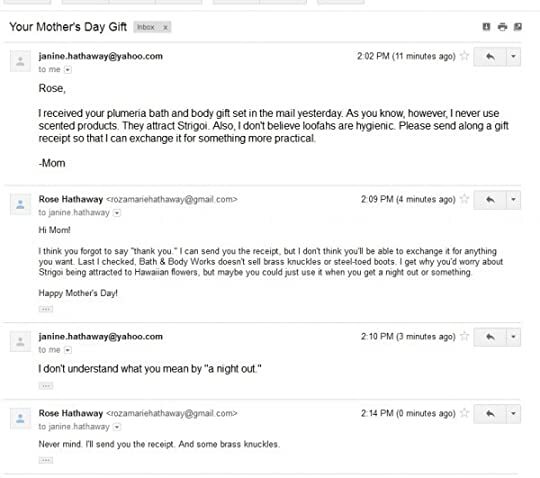 Rose tries to hide it from me, but it’s becoming too much, even for her. After school yesterday, I found some old pictures of Andre and me. They broke me. I spent most of the night crying. Hating life. Hating that I’d survived. At breakfast the next day, Rose rushed right over and hugged me. “It’s going to be okay,” she said. “You survived for a reason.” I broke away and demanded to know how she knew what I’d been thinking last night. She claimed she could see it in my face, how sad I was…but I could tell she was lying. She’s in my head somehow. More and more each day. And neither of us likes it. We’re starting to believe we might have really pulled off this escape. But we have a new problem: blood. It’s why I’m always so wiped out. I’ve never gone this long without blood, and I’m even starting to dream about it. Our housemates have been trying to get us amped up for football, even though it doesn’t start until the fall. I guess it’s kind of a big deal here. I don’t get it, but Rose is hooked. I think she’s in withdrawal from all the punching and hitting of guardian training. One of the guys in the house is so obsessed that he records past games and analyzes them. Rose has started watching with him, and sometimes I’ll hear her yelling at the TV: “What are you doing? He threw it right to you!” I’m glad we’re both starting to find our way here. I think this life is going to be good for us. I’ve been practicing the elements in my free time. I keep hoping that Ms. Carmack was right and that it was just the stress of the accident delaying me. But nothing’s changed. I have limited control of all four but nothing extraordinary. When I told Rose that, she said that I was extra, extra extraordinary and that my magic was too lame to even try to catch up. Tasha, petrified, gave a jerky nod. DON'T EVER CHANGE, QUEEN TATIANA. 2. The bonus stuff is LONG. 50% as long as the original book. VA 1 = 79k words. Adding on the bonus stories gives us a 114k book. That's a little longer than Shadow Kiss. Here's what the bonus stories are about. 4. Comes out November 29 in the US and English speaking countries. 5. I've got no control over what other countries it'll come out in (sorry!). That is controlled by whoever first translated and published VA #1 in your country. Contact them and express your interest! 6. I haven't heard about ebooks or audiobooks yet but will tell you ASAP when I do! I'd be surprised if there wasn't an e version coming. 7. The stories are meant to go along with book #1, so they're prequels, expanded scenes, etc. No Sydrian stuff, no post-TRC stuff. They aren't available separately either. 8. I don't know if there'll be anniversary editions of #2, #3. Publishing's a business, so it'll depend on interest and sales! My publisher didn't continue the graphic novels or signature editions because the sales weren't there. I will happily expand the other books if this continues. Looking forward to making #3 more agonizing! 9. The anniversary edition is up for pre-order on major book retailers, like Amazon and BN, and will be available at your favorite indies, big box stores (Target, etc. ), and more. Wherever you order/buy, make sure you're getting the cover shown above with the pink rose, or you may end up with an old version. A. Domestic (US) shipping is free if you order $20 or more worth of stuff. They ship internationally (for a charge)--look for "foreign" in the state drop-down menu. B. They carry all my stuff that's currently out. So if you want to grab another signed book for yourself or one for your friend, etc., search for it and add it to your cart. C. The VA anniversary edition isn't out until 11/29. That's the day they'll ship it, so you can't get it before. D. U Books is a local indie store that's been nice enough to help me work out this system to get signed books out to people I never get to see. They didn't do this kind of volume before, and they've been amazing at working out a system to meet the demand. But remember, they're small (but very personable!) compared to a gargantuan powerhouse like Amazon. Humans are running this, not robots. E. If there's anything else that's not clear, please get in touch with the store directly. Their mail order department is super nice. This is the extent of my knowledge about selling and shipping :) ubsmail@u.washington.edu will help you with the rest. Seriously. They answer all sorts of questions. F. And as always, if you're not interested in autographs, just buy the book from one of the many other options out there! Reminder for Midwesterners! I'm signing tonight (Thursday) at Red Balloon Books in St. Paul, MN at 7pm. Tomorrow, Friday the 13th!, I'll be in Milwaukee to sign at 6pm at the Oak Creek Public Library. The week will wrap up in Chicago at BookCon, where I'll be doing panels and signings. See thebookcon.com for schedule and ticket info. Happy Mother's Day from the Hathaways! Do you have questions about The Glittering Court? Watch this interview! The Glittering Court is almost here!